Having a family this size means that we hear lots of funny stuff from our kids…all the time. It was hard narrowing it down, but I think these are the most comical things our kids have said. 2. When my oldest was about 6, I was out back hanging up wash when he came outside and said to me, “It’s all gonna end, you know,” I just looked at him and asked him what was going to end. “Life.” Okaay…yeah, my kids get a little morbid at times, like this next one will also illustrate. 3. I was driving with Devin when she was about 5 when I heard her mumbling something. I asked her what she said, and she replied, “Mommy’s gonna die soon.” I would be lying if I said I wasn’t more than a little freaked out for a few days. 4. Luke has the most beautiful, curly, blonde hair, and I’m always telling him so. A few months ago, he was mad that he got in trouble for something, and he said, “Okay. That’s it…I’m gonna go mess my hair up!” He came downstairs a few minutes later with his hair combed flat against his head in the middle but still curly on both sides. What are some funny things your kids have said? Caollin made this just this morning- the idea was completely her own! We’ve had quite a fun week here at the Sangrey House. To top it off, our snowfall was measured in inches this week, instead of feet, so that was a big plus! (Sigh of relief). 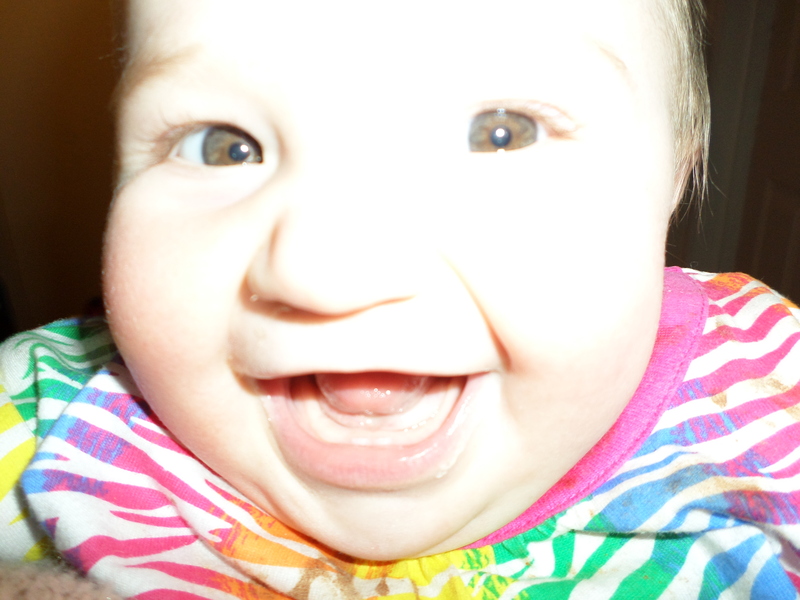 I think actually seeing the sun this week has had a positive effect on all of us. It’s been long overdue! On Monday, I finally got my implanon removed, so that’s a huge weight off of my shoulders. Arianna went with me and had the pleasure of watching them take it out. “I could see your meat, Mom!” Yeah, great. Thanks for sharing. I’m glad I had my head turned the other way. Although she’s only 12, she also got to listen to my doctor badger me about birth control. Even though it was uncomfortable, it was a good opportunity for her to see me stand behind my pro-life stance, so some good did come out of it. 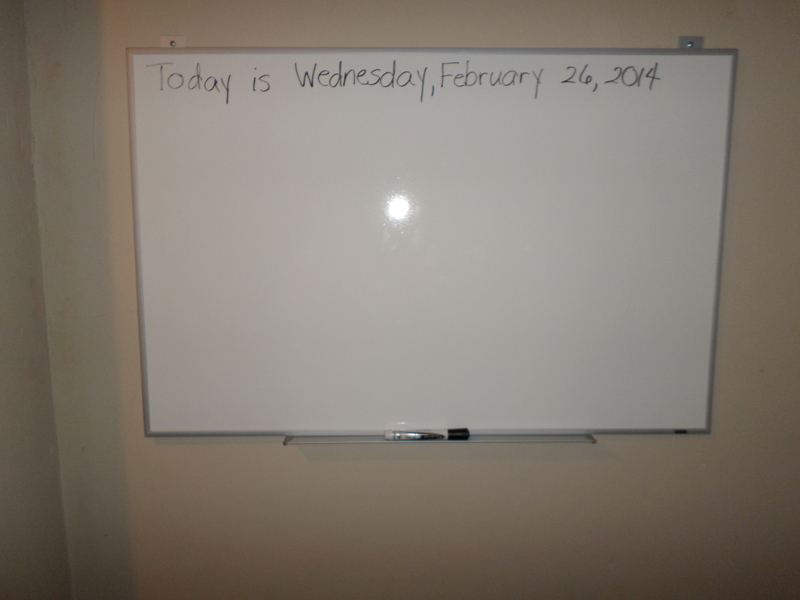 Wednesday, my husband had a vacation day, so we headed out to Staples for a new whiteboard to replace our chalkboard. We had the chalkboard for about seven years, so it served its purpose, but it was time to move on…and the fact that my kids colored all over it with crayon didn’t exactly help, so I really couldn’t use it anymore, anyway. After picking up a few more things there, we headed to Dollar Tree for some bins for organizing and some odds and ends for crafting. Other than those few excursions, we’ve been homebodies the rest of the time…and that’s the way I like it. 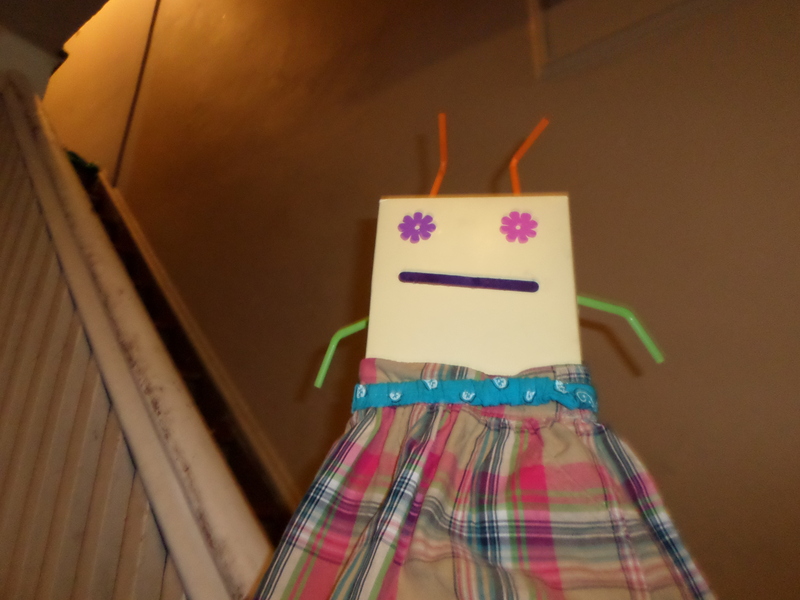 All of the kids have been so creative this week in so many different ways. And the thing is, I didn’t initiate any of these activities. Everything was their idea. (Although I did print out some free placemats to color from Write Bonnie Rose.) This is why Dollar Tree is so great. I’m able to get all sorts of goodies there for $1 each, and the kids’ imaginations soar! 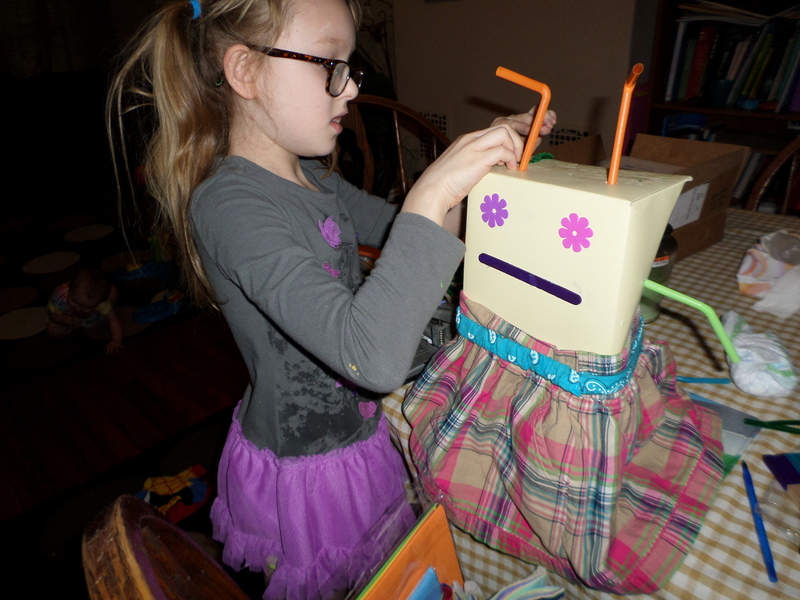 Caollin making her little robot person. She inspired the other kids to make them, as well. 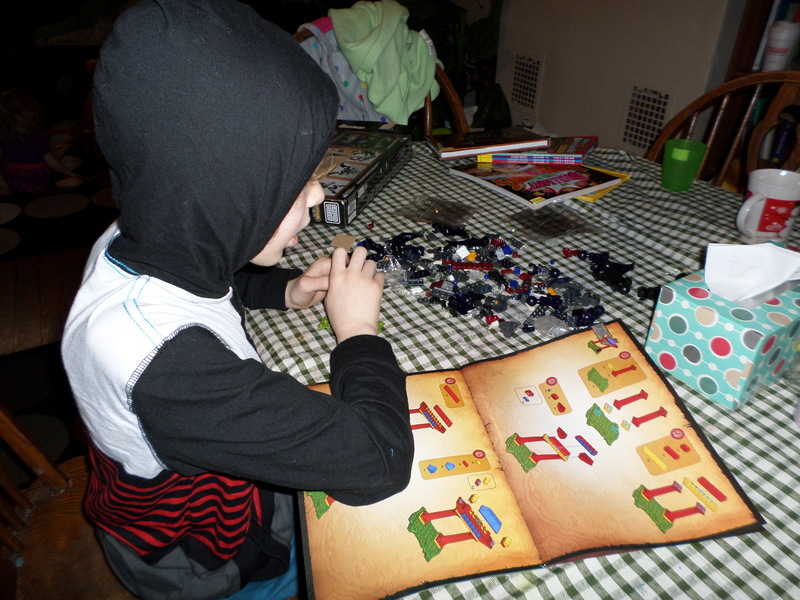 Dillon spent hours building World of Warcraft Lego sets this week. 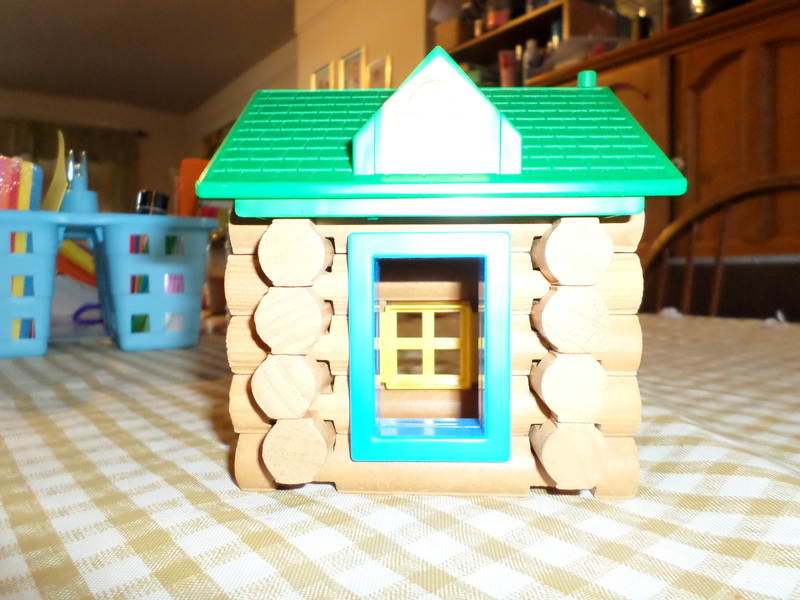 Several of the kids built with the Lincoln Logs, too. I almost forgot. Devin, Arianna, and I also went to A.C. Moore for Devin’s art supplies and to Party City for Arianna’s theatrical makeup. 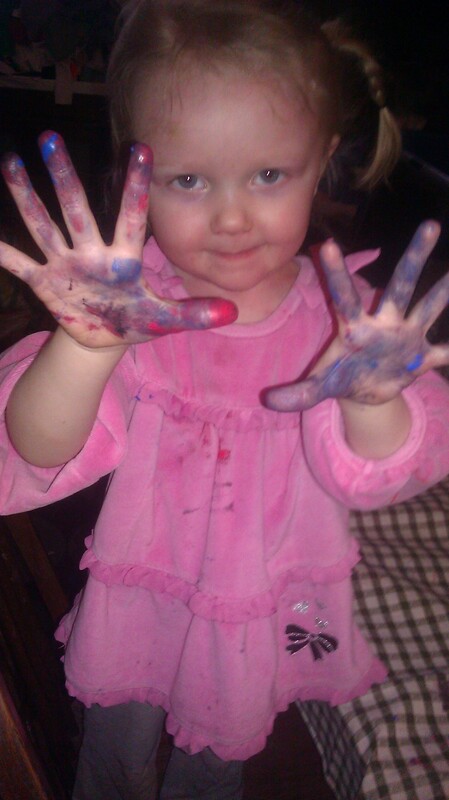 Devin has just started taking a drawing and painting class at the local art school, and, so far, she loves it. Arianna is still obsessed interested in makeup of all kinds. This week she’s made her own lip balm and makeup remover. She’s really starting to rub off on Caollin and London because now they’re trying to do theatrical makeup on the little ones. Today London decided to put red nail polish all over Summer’s hands to look like “blood.” Yeah, apparently, I’d better watch her more closely. Dillon, Arianna, Caollin, and Bailey have all been busy writing stories on the laptops. Okay, Bailey was only copying words out of a book, but he’s 6. I was really excited to see him doing that. 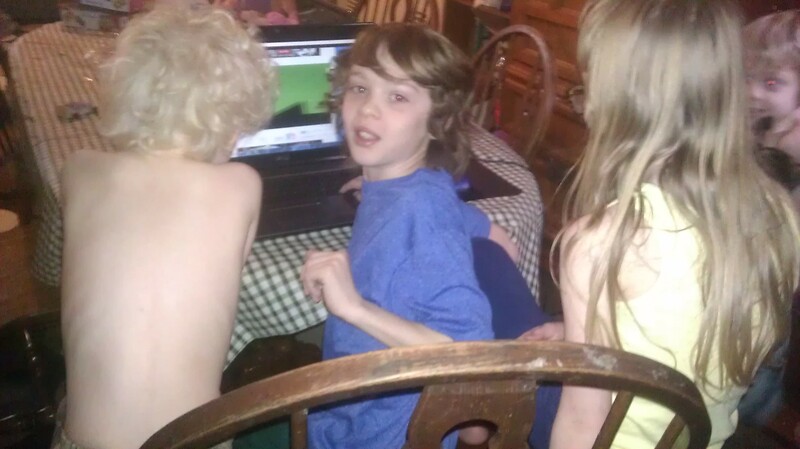 Lastly, my husband got World of Warcraft, so Devin, Dillon, and he have been spending time playing that together. In truth, I wasn’t too thrilled about this, until I found out that there’s so much to it. I almost did a backflip when I saw the kids using maps to navigate around the worlds. Geography- check. Friday I expect to be more of the same, although we will be going grocery shopping, so there will inevitably be a conflict over who gets to go with. I’m not taking all ten of them. That’s for sure! 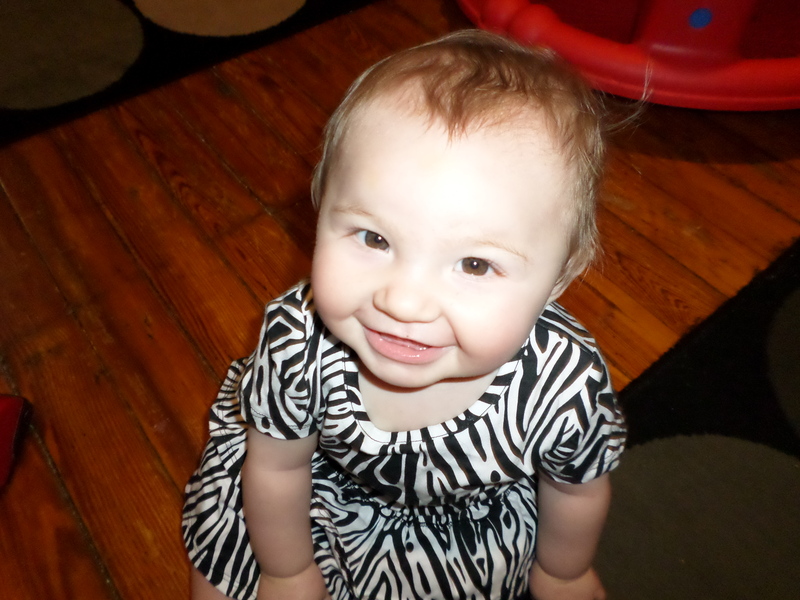 Kenzie never makes it into my posts, so here she is! How’s your week been? Are you doing anything fun this weekend? Author Shelly SangreyPosted on February 27, 2014 April 30, 2016 Categories Encouragement, Family, Frugal Living, Homemaking, HomeschoolingTags homeschooling, Implanon, kids crafts, legos, Lincoln Logs, theatrical makeup, unschooling, World of Warcraft17 Comments on Weekend Review- Creativity Abounds! These are a few of the baskets I use for choosing items to be strewn. Since writing this post a few days ago, I have received a flurry of questions about strewing- what it is and how I do it. I guess my definition would be placing potential objects of interest in strategic areas around the house with the hopes of inspiring learning. So I guess that answers what it is. 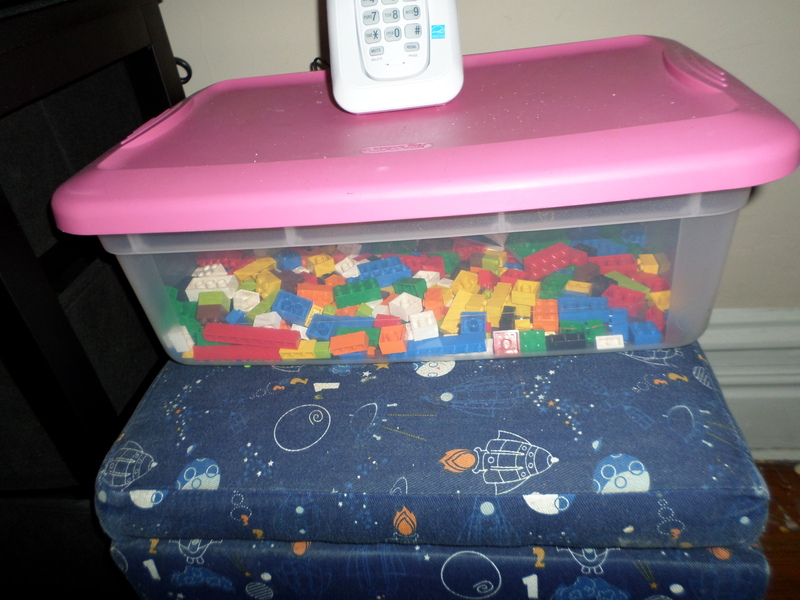 Here’s how I incorporate this method… Before we started unschooling, I used to keep all of the children’s toys in their bedrooms to help keep our living area clean. This helped with our downstairs being readily fit for company at a moment’s notice, but it caused a problem. Our children rarely spend time in their rooms. They spend a good 90% of their waking moments almost literally at my feet- even the older ones. I’m certainly not going to complain about them wanting to spend time with me because, let’s face it, a lot of children don’t want anything to do with Mom and Dad. While I didn’t think about this much while we were homeschooling because I always kept them busy with all sorts of projects, this really posed a problem when we began unschooling. They didn’t want to be upstairs, but there was nothing left for them to do downstairs. This may have contributed to some of the blank stares I used to get when we first started this method of learning. So, obviously, the solution has been to keep some most of their activities downstairs. Obviously, this makes for a much messier house, and, therefore, more frequent bouts of straightening, but it has been so worth it. Toys that sat around for months are now being played with, and, honestly, it’s much easier for me to keep track of puzzles and games when they’re where I can see them. 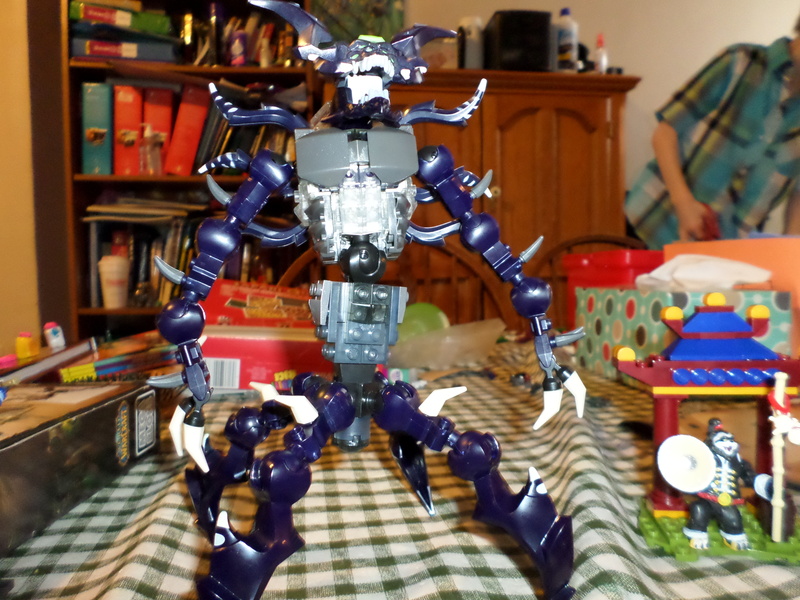 These legos are kept in our living room. They’re sitting on top of a bin full of picture books. Although keeping the toys (I keep referring to toys- remember, children learn through play, so don’t discount them as learning resources.) out and in full view has worked wonders, it’s sometimes not enough. You know how after you walk past something a hundred times you kind of just start to ignore it? That happens here, too. So what I’ve started doing is pulling out a few items everyday and placing them on our dining room table. I don’t call attention to them. They’re just there. Sometimes I’ll lay out a few puzzles, some freaky facts science books, crayons, and paper. The other day I found some US states cards, so I put them on the table with an atlas and some blank maps. Somedays they’ll get used; other days they won’t, and that is fine. My goal is to remind them that it’s there, and sometimes that is enough because a week later, I’ll find them playing with said toy. Some days my strewing items are a hit. 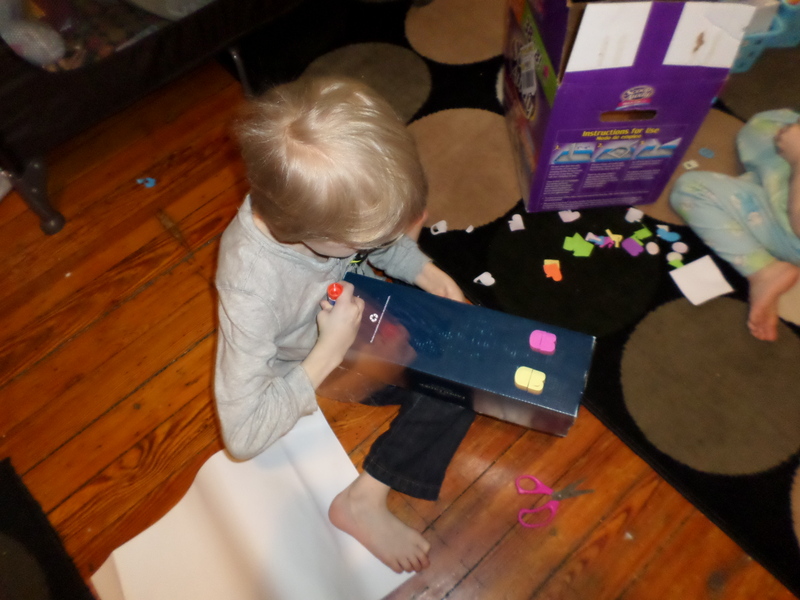 Today I gave the kids a plastic bin filled with foam sheets, foam shapes, glitter glue, and crayons. That kept them quiet for quite a while. I also pulled out our solar system model that comes with an interactive tablet today. I found Luke(5) listening intently to the narrator this morning, and today at bedtime, I was reading The Magic School Bus book to Bailey about our solar system, and he was able to answer the questions correctly…and it wasn’t because I ever taught it to him. Now please keep in mind that these are girls who hate math! 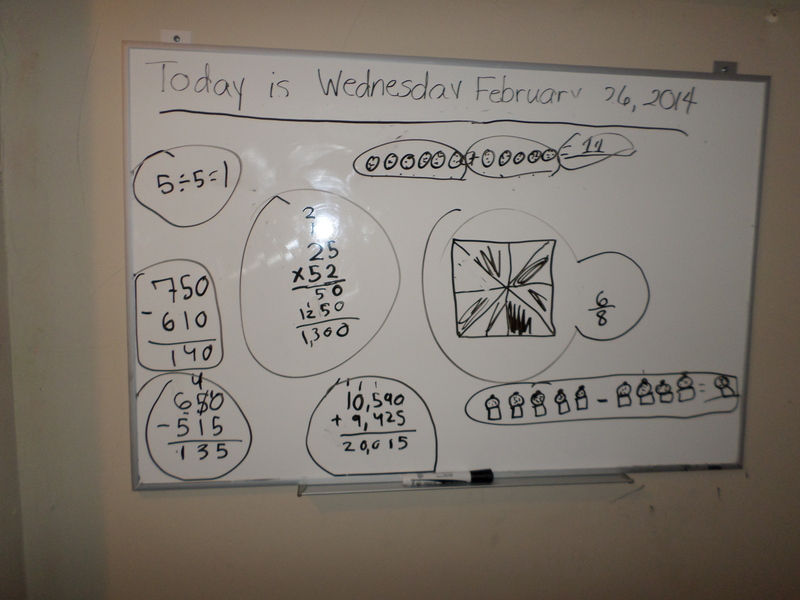 I was happy as a lark when I saw them initiating math on their own. Another pleasant surprise came later on. Bailey asked if he could go on Paint on my computer, so I said yes. I thought he was going to draw. A little while later I went to make sure he wasn’t destroying my laptop, and I found him typing the words from a book that I had unintentionally set on my computer desk. Perhaps the most important thing to remember about strewing, though, is that it is not meant to force a child to use the chosen activities. Think of it more as just giving your child an idea…maybe for now, maybe for the future, and maybe never. That’s okay. Speaking from experience, I know that the more you push a child into doing something- no matter how you sugar-coat it- the less they will want to do it. Another important thing is not to separate school from life. I’ve actually stopped referring to it as school because it’s so much more than that. It’s living intentionally. Do you have any other strewing ideas? I’d love to read some new ones! Author Shelly SangreyPosted on February 26, 2014 May 6, 2016 Categories Encouragement, Family, Homemaking, HomeschoolingTags learning methods, living intentionally, natural learning, strewing, unschooling16 Comments on Welcome to Strewing Central! 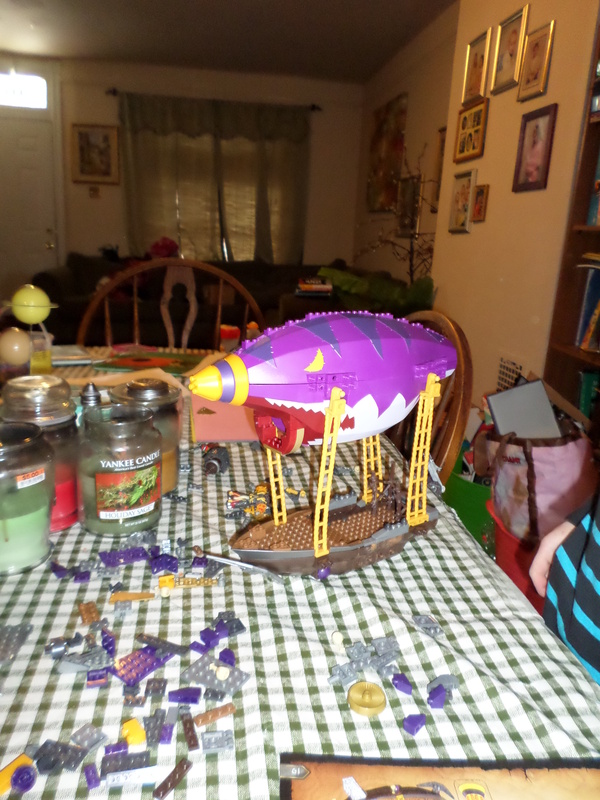 This week’s Carnival of Homeschooling is up! So What if We’re Socially Awkward?. 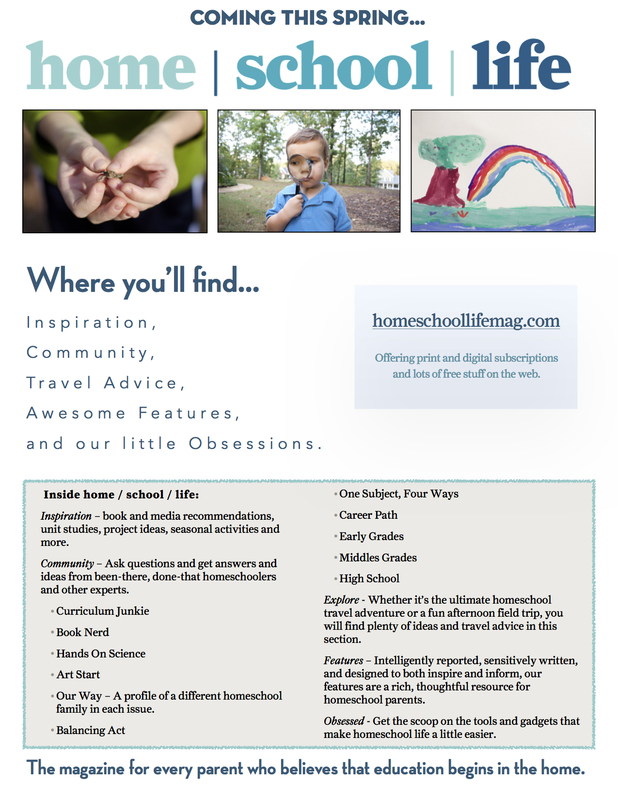 There’s a plethora of homeschool information just waiting for you! 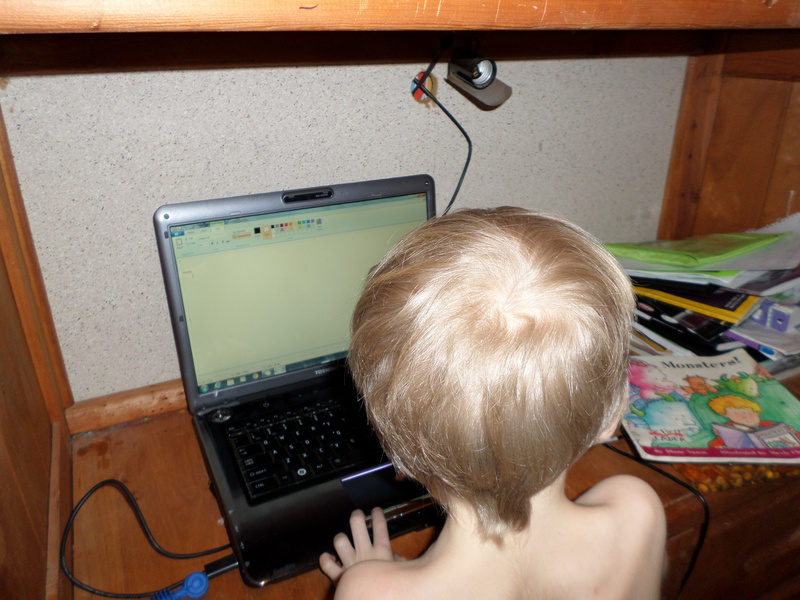 Is Unschooling Just Lazy Homeschooling? Ever wondered just what those unschoolers do all day? Sleeping in late, watching TV, playing a computer game and then counting it as a school day? Apparently, this is the view many people take on this method of homeschooling. But is that all there is to it? While all of these activities do take place at our house (okay, I don’t get to sleep in :(), this is not an accurate picture of what we do. Today I’m going to discuss exactly that. Firstly, the role of an unschooling mom is different than that of a school-at-home mom. Neither one is more important or involved than the other. They are just different. Instead of acting as a teacher as a more traditional homeschool mom, my role is as a facilitator. I am there to answer questions, provide a stimulating environment, and introduce, but not force, new concepts. Another misconception about unschooling is that the parent has absolutely no involvement in the child’s learning activities. I don’t know about other families, but in our home this couldn’t be further from the truth! Are there things that I think my children would benefit from learning? Absolutely. But I am not going to compromise my children’s love of learning by making them do anything. Speaking from my own high school experience, I can tell you that I really don’t remember anything from the required subjects that I had no interest in. Was I a lousy student? Actually, I was quite the opposite. I was a gifted/advanced placement student who graduated in the top 10% of my class. So obviously, I did learn lots of things…but after exams were over, it was like I opened a valve in my brain and let out all the information that I deemed as unnecessary. I have, however, retained all of the useful information from the classes I chose to be in. This is exactly why I’m approaching my children’s education differently. As I mentioned before, while there are things I’d like to introduce to my kids, I will not force anything on them. So how do I do it? There are two methods I use that seem to work nicely. – Strewing. Everyday I set different books and activities around the house that I think may interest my children. Today, I pulled out Ripley’s Believe It or Not and Guinness Book of World Records books and laid them on the table. I also pulled out some paper and giant coloring books. Did everything get used today? No, but that’s okay. They have seen it and know that we have it. Oftentimes they will go looking for it at a future time. Today was a great example of that. My kids kept themselves busy all day with items I had strewn last week even though they had no interest in them when I laid them out. Dillon spent two hours putting together a WoW lego set, Luke and Ireland played with clay for a long time, and Bailey spent quite a bit of time drawing, coloring, and then cutting out animals. Arianna painted for a while, and Caollin and London used some stuffed animals to play “crane machine.” (Their latest obsession since Daddy won them all animals out of a crane machine at Denny’s Diner last Saturday) Just because you introduce something to a child does not mean they’re going to be interested. Be patient. They’ll learn about it when they’re ready. – Family read-aloud time. I am very intentional about the books I choose to read to everyone. If there is a concept or a time period I think they would enjoy, I’ll look for a corresponding book. Over the summer we read Little House in the Big Woods. I can’t even begin to tell you about the flurry of activity that that started. I would find my kids outside everyday playing Little House. They dressed in pioneerish clothing, made their own “little house” with pieces of wood we had lying around the yard, and I could hear them discussing things like churning butter and making salt pork. They were interested, so they learned! We just finished Little House on the Prairie, which also brought some wonderful rabbit trails to our home. Today I started reading The Odyssey to them. I can’t wait to see what springs from this because we all love Greek mythology. Hopefully, I’ve put to rest the idea that unschoolers, particularly unschooling parents, are lazy and uninvolved. We are just as involved and passionate about learning as other moms. We just do it in a different way. How do you introduce new concepts to your children? Author Shelly SangreyPosted on February 24, 2014 March 5, 2014 Categories Encouragement, Family, HomeschoolingTags common misconceptions about unschooling, facilitators, family reading, homeschooling, strewing, unschooling myths40 Comments on Is Unschooling Just Lazy Homeschooling? I’ve been noticing lately that many public school teachers have a thinly disguised disdain for homeschooling. One of the most popular reasons I’ve read is because they feel that since most homeschoolers come from affluent families (a myth), lower income students are at a disadvantage. Honestly, I’m not sure I see the correlation, but that’s okay because I’ve compiled a list of reasons why public school should be grateful for homeschooling. – Homeschoolers contribute to a lower student to teacher ratio. One of the largest complaints of public schools these days is that they’re overcrowded. They don’t have enough room, and the amount of students per classroom is growing, which makes for an overwhelming situation for teacher. Let’s take a look at some homeschooling statistics. In 2007, there were approximately 1.5 million homeschooled students. Now that was seven years ago, and I’m sure it’s risen since then, but we’ll go with that figure anyway. If homeschooling were to suddenly become illegal, our school system would be deluged with over 1 million new students. Now that would be a disadvantage to students everywhere. – While we still pay school taxes, none of that goes to our children. I’m not complaining about that. We’ve chosen to homeschool, and we’re fine with this scenario. But let’s put this into perspective. School districts everywhere are hurting because of the growing population and the fact that there are many low income residents. There just isn’t enough money to go around. It’s an appalling situation, and I get it. So this is why I don’t understand why some people hold such animosity towards homeschoolers. We are helping public school students. How?… I’m getting to that. – There are less students to buy curriculum for. I realize that some homeschoolers do use the school district textbooks, but they are firmly in the minority. I happen to be in an inner-city school district. When my kids were in school, they didn’t even have enough books for the students who were there. They actually had to share with other kids. Imagine what would happen if 1 million new students enrolled in our school system. It wouldn’t be pretty. Think about it. – Our school district provides free breakfast and lunch to everyone in the district, regardless of income. There are that many destitute students. I’m so very thankful for this program because these free meals may be the only meals that some of these children eat. I will never put down our school district for this program as so many people do. It is needed. Some of these children go “home” to sleep in cars. The district even employs a homeless liaison. So it’s quite plain that less students means more money per student for these lifeline programs. Homeschoolers are given meals at home (or at co-op, or at the park- you know what I mean). This means the precious little amount of money budgeted for these students can be stretched a little further. My conclusion? Homeschoolers unknowingly put public school at an advantage. I agree that every child deserves an education. Our choice is not only good for our children, but it also benefits those in brick-and-mortar schools, as well. What are your thoughts on this? This is a touchy subject for some, but it needs to be addressed. I’d love to hear from you. Today is Part 2 of my Homeschooling on One Income series. Part 1 described how our family manages daily living on one income. Before homeschooling, it is essential to work out a budget plan for day to day living if you have a limited income. One of the many arguments I see coming from opponents of homeschooling is the myth that only affluent children can be taught at home because of the costs involved. This is laughable to me. We homeschool an extremely large family on a welder’s income, so there goes that idea. To make matters worse, many prospective homeschoolers buy into this reasoning and begrudgingly enroll their children in public school because they feel they can’t afford it. I’m here to tell you today that, no matter the homeschooling method, there are enough resources out there that, given the right amount of research, almost anyone can afford to homeschool. Here are resources that we have used for homeschooling that have been very affordable, if not downright free! – There is such an abundance of free homeschool printables covering pretty much every subject online that I really could just stop right here. There are also wonderful unit studies available- again, for free! 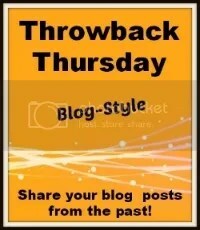 Take time and look through homeschool blogs. There are so many writers who are excited to share their wonderful ideas with you at no cost. 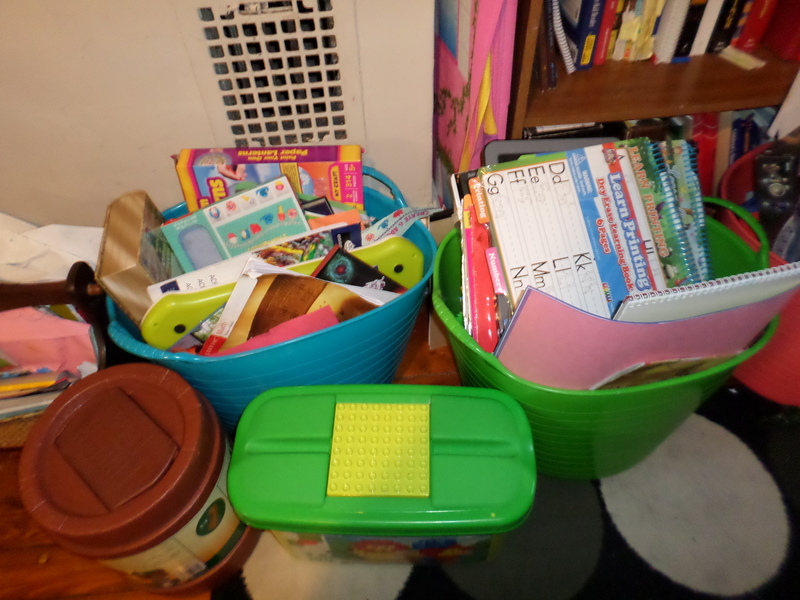 – I have gotten my younger children workbooks at Dollar Tree. Yes, Dollar Tree. This store is actually where I get most of my school supplies throughout the year. – More expensive does not always mean better. Do your homework. Our family used Konos unit studies for years. The initial price tag of $110 might sting a little (although this is considered inexpensive compared to other curricula), but you have to look at the big picture. There is enough material to cover 2 1/2 years of schoolwork, and there are activities included from K-8. So this is perfect to use with multiple children; you could even have the younger children go back through it again when they’re older because there’s that much material in there. – Instead of buying Language Arts curriculum, use lapbooking to fulfill that area. And I don’t necessarily mean those lapbooking worksheets that you print out and just have them fill in. Let them decide what they will put in it. Encourage them and give them ideas, but let them have the final say. I promise you, they will enjoy it so much more, and they will remember more. – Don’t forget the library! Even before we started unschooling, the library provided the abundance of our learning tools. It’s not just for books anymore! (although that’s my favorite part :))Our library has movies, music, free online foreign languages through Mango Languages, story times, and toys that you can borrow and take home. Devin and I always jokingly say that if the library starts selling food, we’re moving in! – Buy used. Ebay, Craigslist, and Amazon are but three of dozens of places where used curriculum can be bought and sold. – Let life be your curriculum! 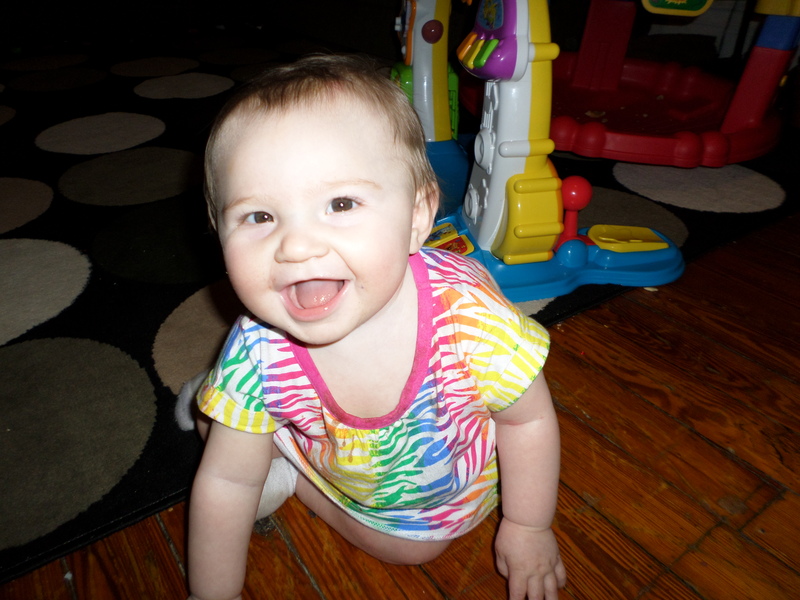 That’s right…life…because every waking minute of your child’s life…of our lives…we are learning. Let them explore! Let them collect rocks and salamanders and leaves! 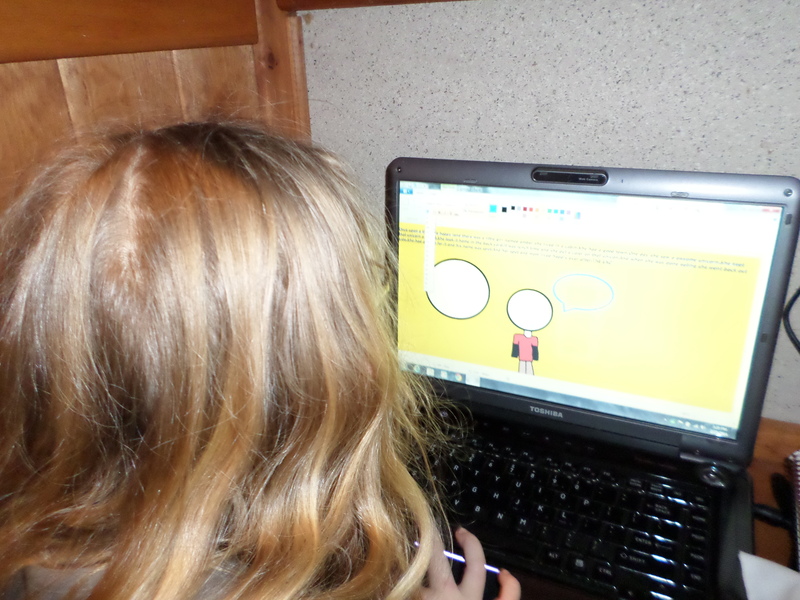 Teach them to use search engines (also free!) to identify and classify their finds. Even watching the dreaded TV will provide learning. (I’m not one to let them watch unlimited TV, but I will allow it 1-2 hours a day if they wish to watch it. Sometimes they don’t.) Just the other day, I overheard Caollin correctly use a scientific term that I knew I didn’t teach her. Where did she learn it? Spongebob! This is how we’ve afforded to homeschool in our household. We are so blessed to live in a society in which we can find an abundance of learning resources in as little as the click of a mouse. So before you nix the idea of homeschooling for financial reasons, I say stop. Take a step back, and rethink it. The world is at your feet. 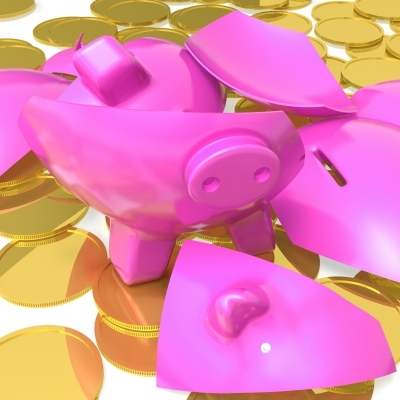 What are some ways that you have cut costs in homeschooling? Leave a comment…you just might give the advice someone desperately needs! Looks familiar from last week’s post, right? And the week before…and the week before. I’m telling you, I am so sick of snow. I’m ready to pack up everything and move South. Maybe Louisiana…or Texas…or Australia. 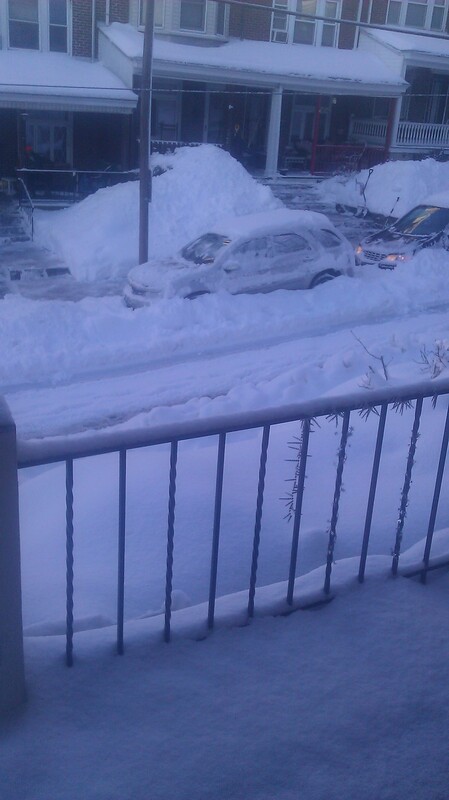 We’ve gotten so much snow that our city was completely unprepared. They ran out of salt for the streets, and all the stores ran out of rock salt. Of course we didn’t have any, so I told my husband to sprinkle some cat litter for traction. He did more than sprinkle. He poured so much out front and out back that it looked like we were living on a beach. What a mess. He’s got most of it cleaned up now, and he’s got a plan on how he’ll shovel up the rest. Oy vey. 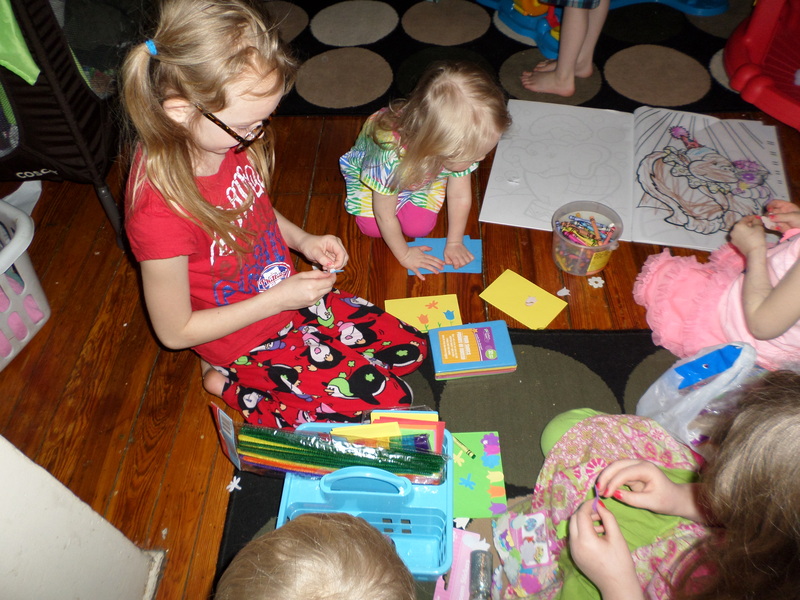 This was our first ever break week since we’ve started unschooling. If you’re questioning why we even needed a break, I wrote about it right here. This entire week has had me pleasantly surprised. I honestly thought that since I would not be limiting screen time that I would have a bunch of Minecrafting zombies, especially considering the fact that we’ve gotten four new laptops this week. I myself have been spending quite a bit of time on mine. Hey, give me a break. I’ve been doing all my online activity, including writing my blog, on my Android! This is new to me, too! Looking back on the week, though, I’ve noticed something that did not escape Arianna’s attention either…the kids have been doing more this week than since we started unschooling! 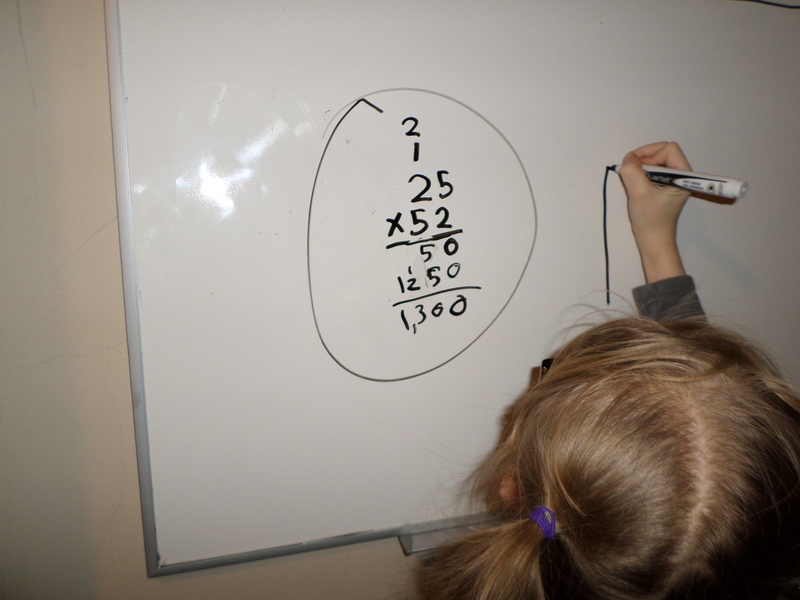 This has completely validated my theory that children learn best without expectations. I found it exceedingly funny that on our second day of break, several of the kids spent hours playing school. And not just your typical ABC’s stuff, either. 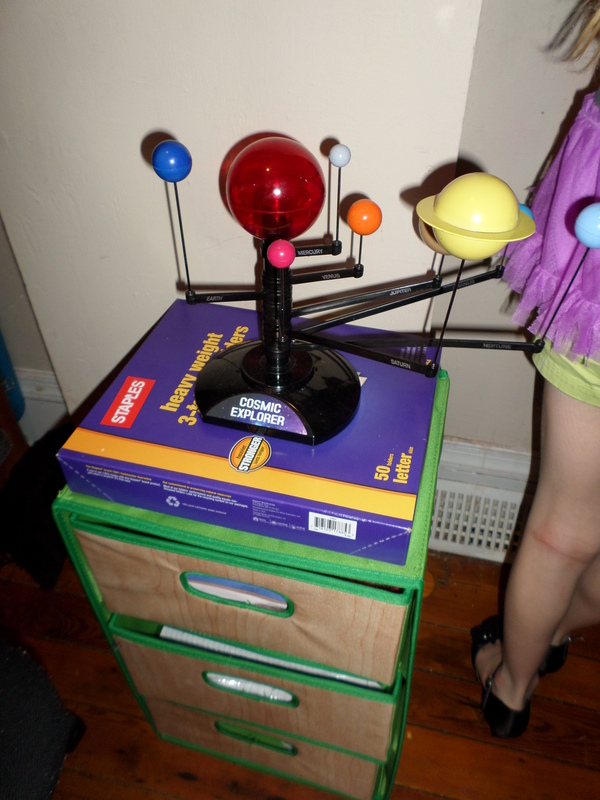 I walked into the living room, and Caollin was using our solar system model to quiz the kids on the planets. Then, she had them all sit and listen while she played with the interactive tablet that goes with it. Shortly afterward, I heard music. 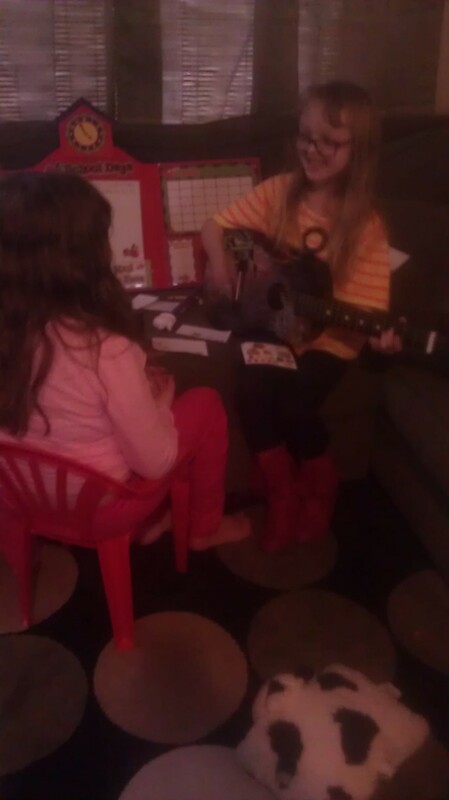 I looked in on the kids and saw that Caollin had “Fifty Nifty United States” playing on her tablet while the kids sang, and she played guitar! I was so happy, I almost couldn’t contain myself, but I managed to play it cool because I didn’t want to ruin the moment. 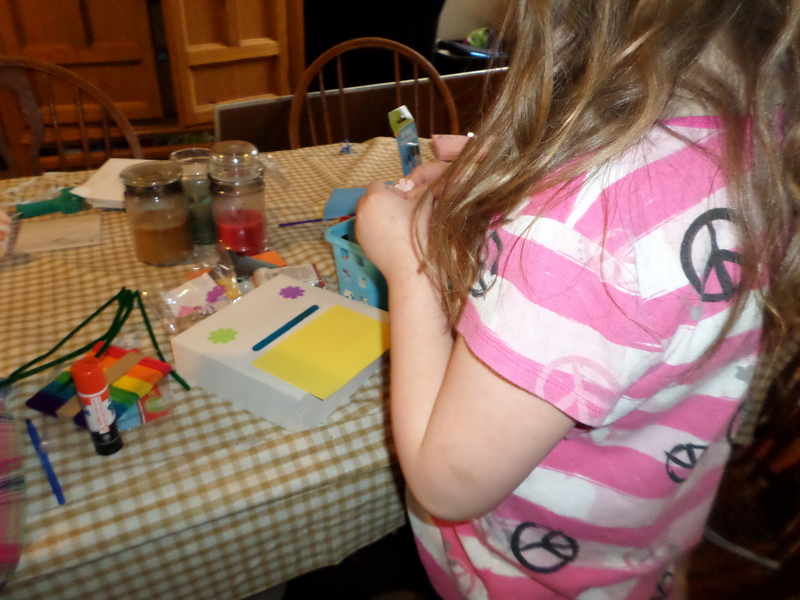 If you’ve read my blog before, you probably remember that my kids love arts and crafts, so, of course, these activities played a huge role in our week. 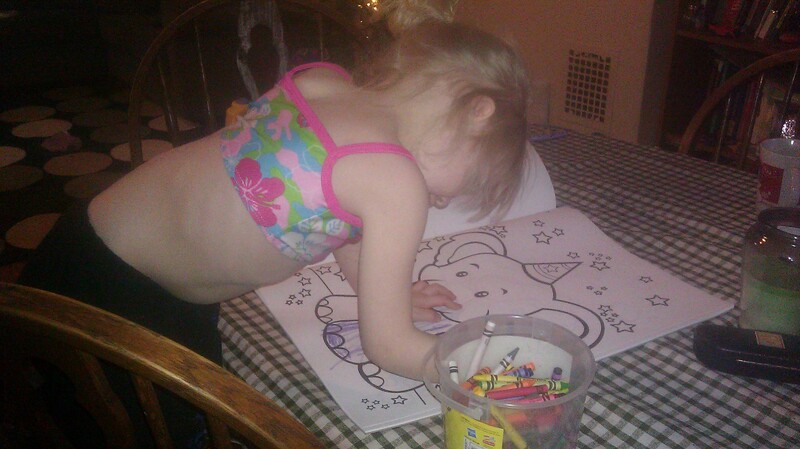 Yes, she’s wearing a bathing suit top in the middle of winter. Choose your battles, right? Summer’s always a mess, isn’t she? 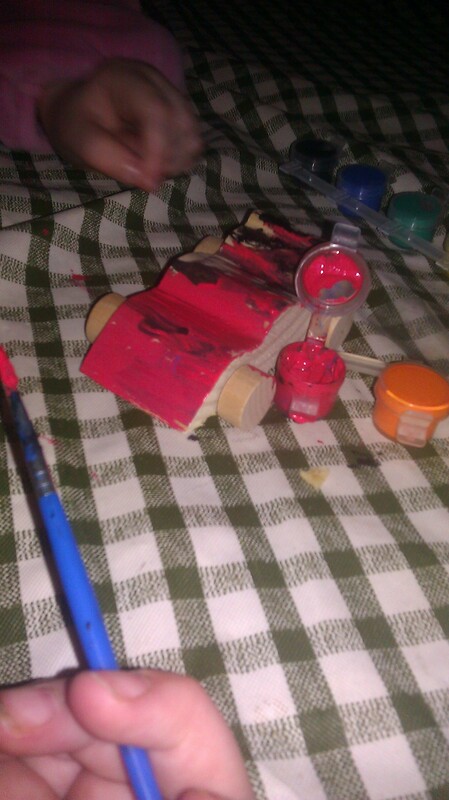 Arianna made her own lipstick with Crayola Crayons (she learned it from a makeup tutorial). She said it worked well, but it was really hard to pour it into the little containers. I was checking my emails today when I heard Caollin using my phone to learn French on Mango Languages. I’ll tell you, out of everyone, Caollin has surprised me the most this week because she’s the one who’s spent the most time doing nothing but petting the cats. As I alluded to earlier, even Arianna has noticed the difference this week. She mentioned to me last night that we should always have break because everyone’s been so much busier…and happier. A very wise observation, I would say. I bought my first digital camera today (yes, my 14 year old has a DSLR, but I’ve only been using my Android to take pictures). It’s certainly not a DSLR, but, hopefully, today will be the last day I have to post blurry pictures. I’m really excited about it because when you have a lot of kids, you tend to forget to do things for yourself once in a while…so this is my present to me. Disclaimer: This post contains an affiliate link. See my disclosure policy. I always get so excited when talking about homeschooling resources. They can come in so many different forms, but they all have one thing in common-inspiration. Today I’ve compiled a list of five amazing tools to add excitement and encouragement to your homeschool. The great thing about these is that they can all be applied to any homeschooling style with the proper tweaking. And here’s the good part: stick around until the end for a giveaway!! Now, on to the list! as an entertainer. Some examples are: carver, page, jester, etc. inner ear. The kids got to crawl through it and name the parts of the ear as they went along. 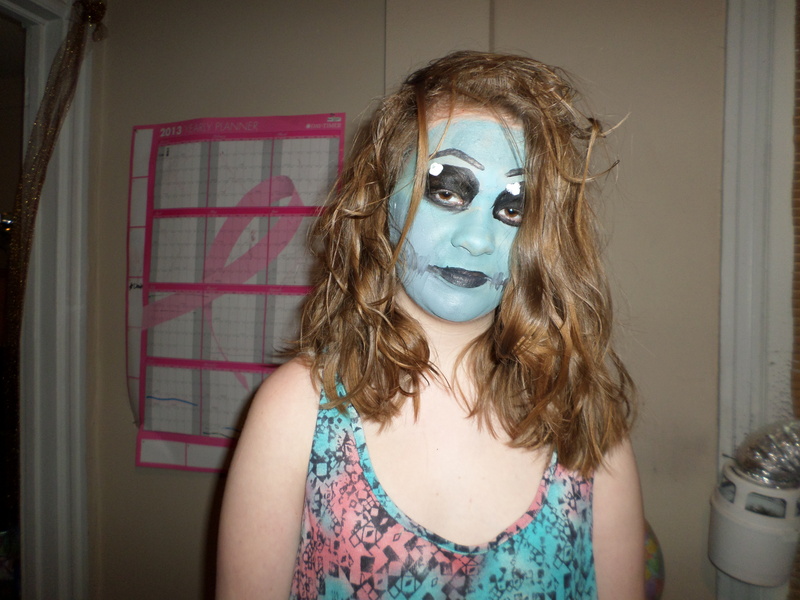 grossed out by it…but the kids loved it! 2.Five in a Row-This brings back so many memories. This is the curriculum we used our very first year of homeschooling. I actually borrowed it from a friend because when I decided to pull the kids out of school, I had absolutely nothing curriculum-wise. The very first book we covered was The Story About Ping. I still remember having them draw and count little ducks, since the story takes place in China;then, we made chicken fried rice for lunch. This was also the year we also fell in love with such books as The Story of Ferdinand and Cranberry Thanksgiving. Those are books we still check out from the library to this day. 3.Learning All the Time, by John Holt, isn’t a curriculum, but it is a great read on the process of how children learn things. This book was a major deciding factor in my decision to unschool, and I enjoyed it so much that I’ve read it several times. 4.The Homeschooling Handbook is also not curriculum but is an excellent resource not only for prospective and new homeschoolers, but also for homeschooling veterans. There’s such a vast array of information in this book- from learning styles and homeschooling methods to record keeping and learning resources. This is another book in my house that’s quite dog-eared. 5.I am so excited for this last one. This Spring, an up-and-coming magazine, home/school/life, is being released. This is going to be a treasure trove of information. Unlike many other homeschool magazines, this will have something for everyone-and I mean everyone. It will be chock full of hands-on project ideas, unit studies,seasonal activities, field trip ideas and travel advice, and-my favorite part- a different homeschooling family will be featured in every issue. 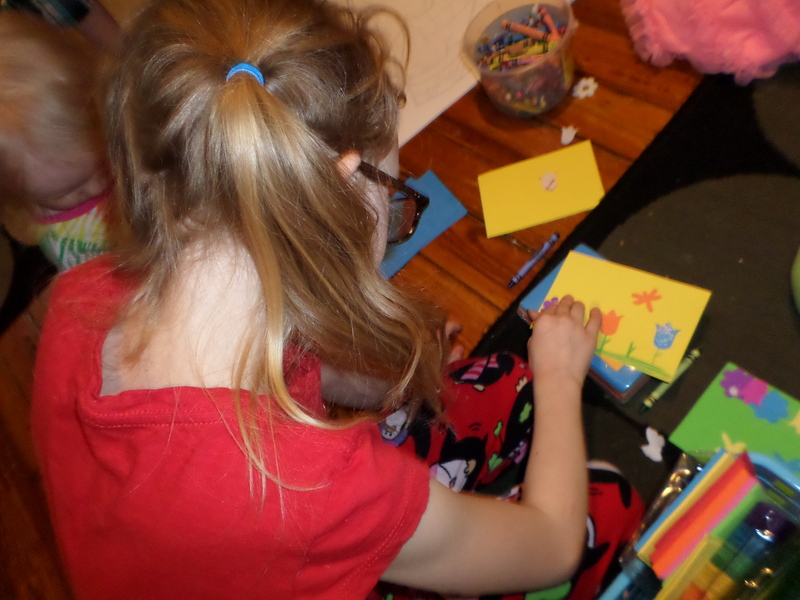 I don’t know about you, but I love to see how other homeschoolers do things. 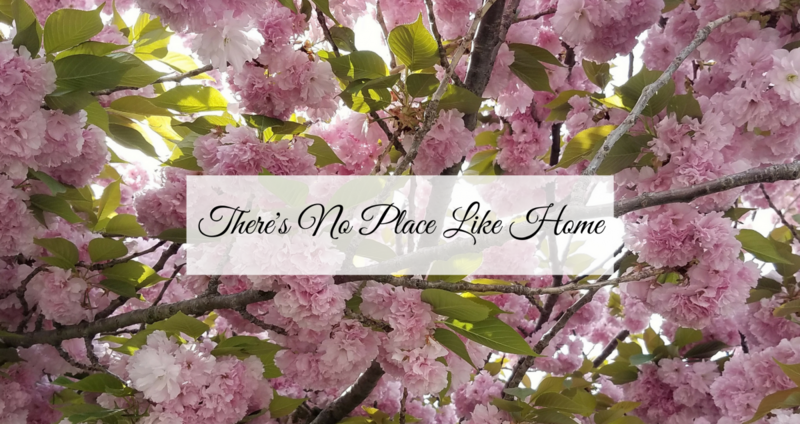 These little glimpses into other homes have actually ignited a lot of our homeschool philosophies we’ve implemented into our home. It will be available in digital format for all you techies and print format for all you traditionalists. And now for the good part…home/school/life is offering a free one-year digital subscription to one of my readers. All you have to do is subscribe to my blog and leave a comment saying that you did so! The lucky winner will be randomly selected on March 19! The contest ends at 9pm EST the day the winner is chosen. Best wishes to you all! 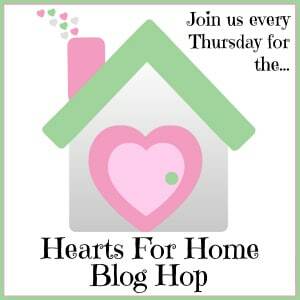 Featured by Hip Homeschool Moms! I’m honored that today, for the second time, another of my posts was featured over at The Hip Homeschool Hop. 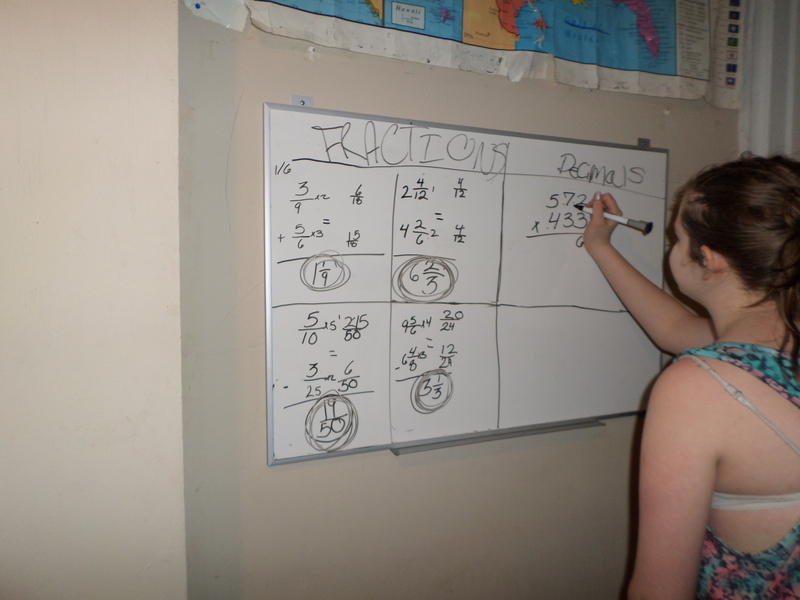 Last week, they featured my post The Top Ten Reasons I Homeschool. Today they featured Maybe ”Educational” Should Be a Bad Word. Why don’t you hop on over and check out the other great posts? Author Shelly SangreyPosted on February 18, 2014 Categories Uncategorized2 Comments on Featured by Hip Homeschool Moms!